HIGH SCHOOL CLASS OF ’72! – MEDICARE IS HERE FOR YOU! Even those of you who have had the benefit of employer-based group health insurance through throughout your working career ― have to had to meet a significant deductible before insurance benefits apply to your major medical expenses. In recent years, that has probably been at least $1,000 and, probably, more. Then you have been responsible for additional costs (coinsurance) thereafter! Compare that to your share of a maximum of $183 per calendar year, should you go with the plan option I will most likely recommend for you! Regarding Part D prescription drug plans ― you will have approximately three dozen to choose from. Each of these covers some drugs but does not cover others. And vice versa. The plan that is best for your spouse or neighbor is not necessarily the best plan for you. Our objective is to: (1) cover all your prescription drugs and (2) do so at your lowest possible total cost for both the plan and your prescription drugs for the calendar year. 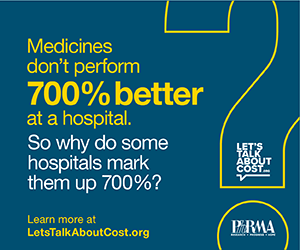 “Total Cost” is the sum of your plan premium, any applicable deductible, and your copays or coinsurance for your Rx drugs. *If you would like me to identify your lowest cost Part D Medicare Prescription Drug Plan for 2019 ― email me, at Allplanhealthinsurance.com, a list of your current drug regimen and dosages. I will do so in the order received and forward the results via email. A) Stage 1, the Medicare Part D “Yearly Deductible Stage” is going to require a Medicare recipient member meet as much as a $415 deductible, up from $405. This does not mean a drug plan will increase your deductible, or even charge one in the first place. It simply means the Center For Medicare Services has informed the drug plans they may charge as much as that amount. B) Stage 2, the “Initial Coverage Stage” is going to $3,820. This is the limit your, and the plan’s, drug cost must reach before you enter the “Coverage Gap”. C) Your liability for your drug costs has been diminishing each year since 2011. This year, you will pay 25% of the cost of brand-name drugs, plus a dispensing fee, and 37% of the price for generic drugs. D) When your year to date personal drug costs reach $5,100 you enter the “Catastrophic Coverage Stage”. Therein, you will pay $3.40 of a drug that is treated like a generic and $8.50 or 5% of the cost of the drug―whichever is higher― for all other drugs. There has been no announcement on whether Medicare Part B’s calendar year outpatient deductible of $183 will be changing. CONSIDERING MEDICARE SUPPLEMENT VS MEDICARE ADVANTAGE to cover those medical expenses not paid by Medicare? Refer to today’s FEATURED ARTICLE 1 on “Denials of Care” below then call me for my opinion on one vs the other. Turning age 65 in April, I am right in this with you. I share a kinship, not only with my personal HS classmates, but everyone of my generation. I began my career out of college as social worker and then―believe it or not―a pharmaceutical sales person. I understand the perspective on brand name vs generic drugs, both from the drug companies’ and the consumer’s standpoint. (If you’d like to me to share this with you, off the record, please call me.) I still like to help people and I get great satisfaction from ensuring I keep my client’s drug and medical costs to a minimum. To assist you in this, I represent virtually every “A” rated (AM Best Rating) Medicare Supplement Plan and most of the Medicare Advantage and Part D Prescription plans I feel worthy of your consideration for 2019. I bring thirty-two years of experience in the industry to provide you an objective comparison of your options, simplify the enrollment process, and ensure you maintain the right plans for yourself, thereafter. I charge no fee for my services. I am compensated directly by the insurance company whose product you elect to utilize, and then―if, and only if―you elect to acquire that product through me. The key to you is―you are charged no more for that product than if went through the door of that insurance company to acquire it on your own. Additionally, when you call, text or email me, you know you are communicating with someone who knows your history and has a vested interest in keeping your business. Which means keeping you happy. This as opposed to a different faceless person at the other end of a toll-free number. A new federal watchdog report warns that privately run Medicare health plans used by millions of older Americans may be improperly denying patients medical care. Federal auditors have found “widespread and persistent problems related to denials of care and payment in Medicare Advantage,” the privately administered plans that insure more than 20 million people, according to the report from the Health and Human Services Office of Inspector General. Medicare Advantage plans collect a fixed fee from the government for taking care of patients 65 or older who qualify for traditional Medicare coverage. The fixed per-patient rates the government pays may give plans “an incentive to deny preauthorization of services for beneficiaries, and payments to providers, in order to increase profits,” the report said. Medicare Advantage plans have become popular with consumers because they combine traditional Medicare benefits with additional coverage, such as vision, dental care, and prescription drugs. The program paid $210 billion to Medicare Advantage plans last year. Companies including UnitedHealth Group Inc., Humana Inc., and Aetna Inc.are the largest sellers of the coverage. Enrollment in Medicare Advantage has roughly doubled in the past decade, and one-third of Medicare patients are now covered by the private plans. In 2016, Medicare Advantage plans denied 4 percent of requests to approve treatment before it was provided, known as prior authorization, and 8 percent of requests for payment after treatment, according to the report. Only 1 percent of patients disputed the insurers’ denials, but in those cases, the decisions were overturned three-quarters of the time, according to the report. Improper denials “may contribute to physical harm for beneficiaries if they’re not getting access to services that they need,” said Rosemary Rawlins, the inspector general’s team leader on the report. Patients and doctors can also be harmed financially if not reimbursed for appropriate care, she said. If plans aren’t providing the care they’re contracted to, it risks wasting taxpayers’ money. The government “has already paid to cover beneficiaries’ health care,” Rawlins said. Not every denial is an indication that patients are being blocked from needed treatment, however. There’s a lot of variation in how often Medicare Advantage plan denials were overturned. In 2016, seven Medicare Advantage contracts had almost all of their denials reversed on appeal — more than 98 percent. Another 69 contracts had denial rates above 90 percent. The report doesn’t name specific companies or plans. Individual insurers can have more than one Medicare Advantage contract with the government. Problems with denials of care aren’t isolated to a few plans, however. The Centers for Medicare and Medicaid Services, or CMS, audits different organizations each year, “but consistently find problems related to denials of care and payment,” Rawlins said. The CMS audits are one of many factors that affect health plans’ star ratings, which are intended to help Medicare patients shop for plans based on quality. But starting in 2019, as the result of a change by CMS, the audits will no longer be a factor in the ratings, “which diminishes the usefulness of the star ratings system as a tool for beneficiaries,” the report said. The inspector general recommended that CMS increase its oversight of Medicare Advantage plans and give patients better information about violations. The agency concurred with the findings. 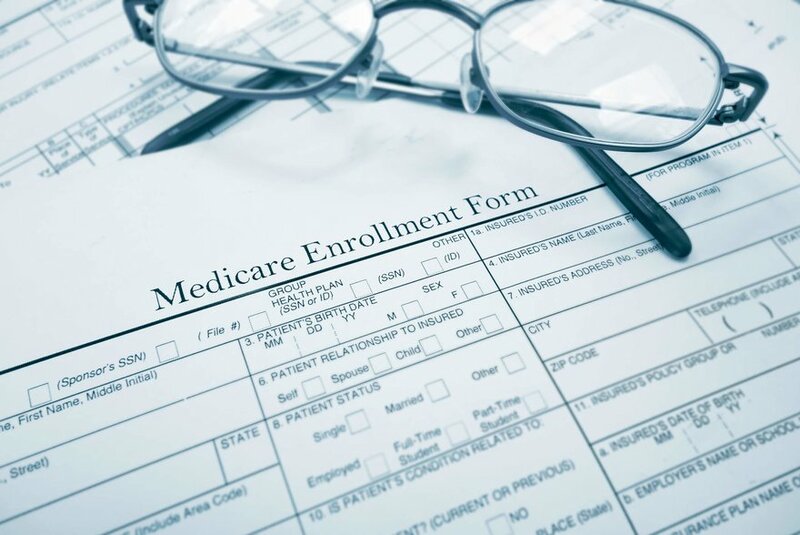 A CMS spokesperson said in an email that the agency is committed to “strong oversight and enforcement of the Medicare Advantage program to ensure that plans are delivering care to Medicare beneficiaries” as required. The Senate unanimously passed a bill Wednesday that would ban Medicare insurers from enforcing “gag clauses” that forbid pharmacies from telling customers about cheaper ways to buy drugs. The Know the Lowest Price Act is intended to help patients covered under Medicare to find out if their prescription would cost less if they were to pay for it out of pocket rather than through their insurance plan. The new rules explicitly apply to Medicare Part D, which pays for prescription drugs, and to Medicare Advantage, a healthcare plan managed by private insurers. Medicare is the program covering adults 65 and older and people with disabilities. In the complexity of the system that involves pharmaceutical companies, drug reimbursements, middlemen known as pharmacy benefits managers, and health insurance companies, patients can sometimes end up paying more while others in the chain pay less. Private health insurers and pharmacy benefits managers use “gag clauses” in their contracts to prohibit pharmacists from informing customers that they can save money if they don’t go through their health plans. Another bill passed in committee, known as the Patient Right to Know Drug Prices Act, would provide the same protections for people who have private health insurance coverage. The Trump administration has called for Congress to undo the gag clauses and pass other measures to help reduce what patients pay for drugs.